Dubai, UAE, November 07, 2018: Caring for kids is a lot of work but also a lot of fun! Not all kids enjoy showers or baths, so mums take great care to make each one a nice experience for their child and using a product that adds to the experience definitely helps. In teaching children the importance of hair and scalp cleanliness, parents should try to make shampooing a special treat, and in doing so, turn something that sounds like a dreaded event into fun. 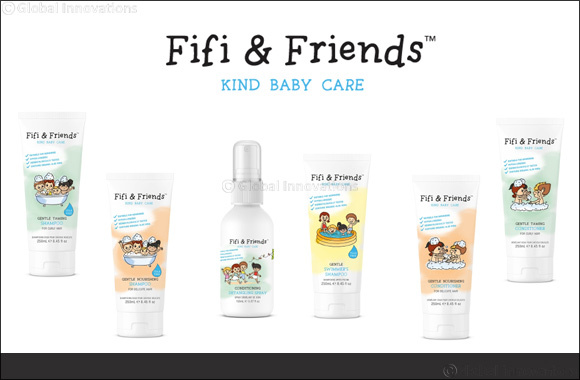 There’s so many products in the market that promise to be safe for babies and kids, but there's one that's definitely a mommy favourite - Fifi & Friends.